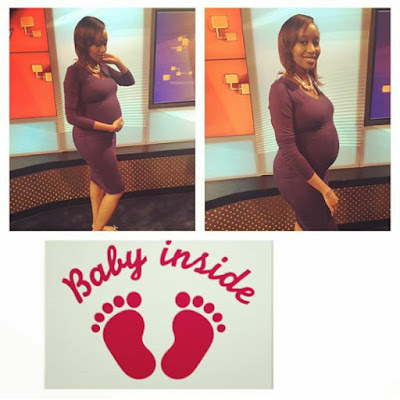 Janet Mbugua Ndichu is a popular news anchor who presents news on Citizen TV. The siren is now ready to join the mothers club. She is not afraid of anything. Rumor has it that she has already launched her blog where she will be talking more about her life and pregnancy and more so, the challenges she has gone through. She was married early this year in a glamorous wedding ceremony when she was already pregnant and many thought that she had rushed into marriage after she discovered that she was expectant. People talk, huh!